I want to tell the story of plants. In order to do that, I suppose I will need to research the 4 billion year history of life on earth. And so I am. Apart from satiating my own curiosity, studying and telling the story of plants advances me towards my goal of creating a series of botany lesson themed posts. Botany 101 and beyond, if you will. An ambitious project, perhaps, but what else am I going to do with my time? So what is a plant anyway? We all know plants when we see them, but have you ever tried to define them? They are living beings, but they are not animals. 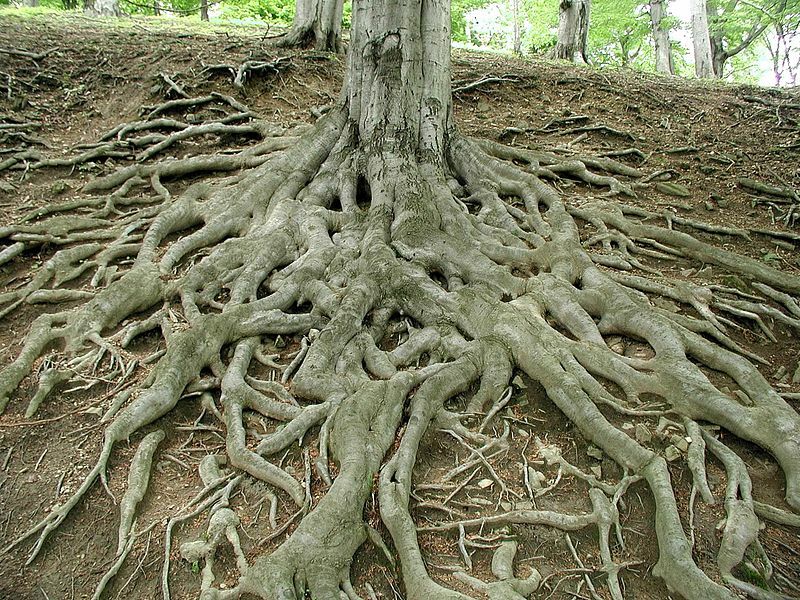 They are stationary – rooted in the ground, usually. Most of them are green, but not all of them. They photosynthesize, which means they use water, carbon dioxide collected from the atmosphere, and energy harvested from the sun to make food for themselves. No animal can do that (okay…a few sort of can). They reproduce sexually, but many can also reproduce asexually. They are incredibly diverse. Some grow hundreds of feet into the air. Some barely reach more than a few centimeters off the ground at maturity. They have discernible parts and pieces, but they can also lose parts and pieces and then grow them back. There aren’t many animals that can do that. They have been on this planet for hundreds of millions of years, colonizing land millions of years before animals. Plants helped pave the way, and if it weren’t for plants, animals may not have stood a chance. I don’t mean to pick on animals, it’s just that for a long time, humans grouped living things into just two kingdoms: Plantae and Animalia. Stationary things that appeared to be rooted to the ground or some other surface were classified as plants. Green things that lived in the water were also considered plants. Thus, lichens, fungi, algae, and everything we consider to be a plant today were placed in kingdom Plantae. Everything else was placed in kingdom Animalia. This, of course, was before much was known about microorganisms. Dichotomous classification was reconsidered as we learned more about the diversity of organisms in each kingdom, particularly as the theory of evolution came into play and microscopes allowed us to observe single celled organisms and chromosomes. Eventually, fungi was awarded its own kingdom, which includes lichens – organisms composed of both fungi and photosynthetic species but classified according to their fungal components. Most of the algae was placed in a kingdom called Protista, a hodgepodge group of unicellular and unicellular-colonial organisms, some of which are animal-like and some of which are plant-like. Two kingdoms were also formed for prokaryotic organisms (organisms with cells that lack membrane bound organelles): Bacteria and Archaea. In short, the answer to what is a plant seems to be whatever organisms humans decide to put in kingdom Plantae. One problem with this answer is that some chose to include certain species of algae and others don’t. But why is that? It has to do with how plants evolved and became photosynthetic in the first place. Microorganisms developed the ability to photosynthesize around 3.5 billion years ago; however, the photosynthetic process that plants use today appeared much later – around 2.7 billion years ago. It evolved in an organism called cyanobacteria – a prokaryote. 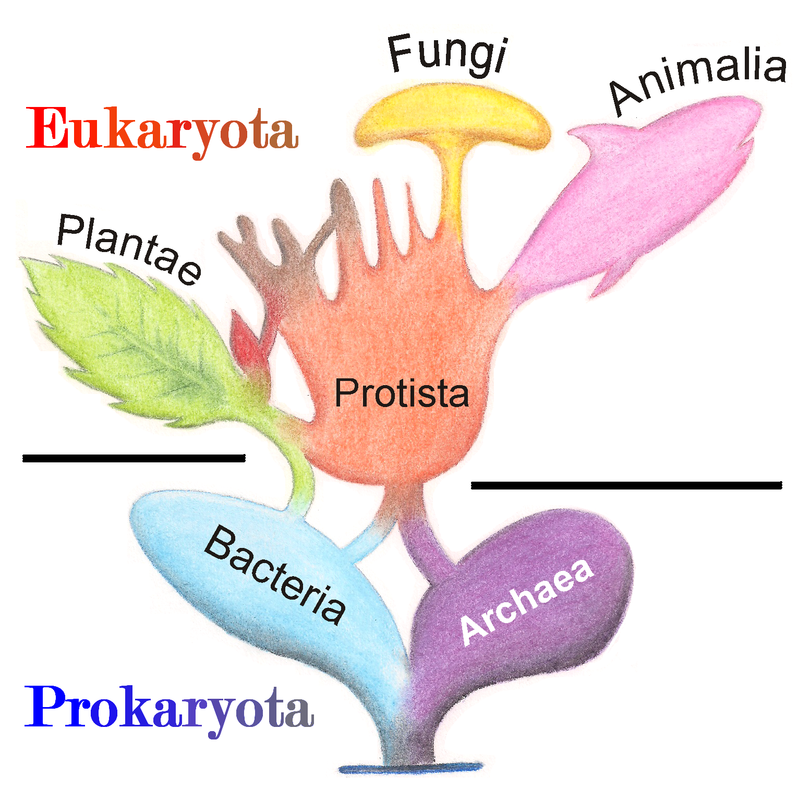 Eukaryotic organisms were formed when one single cell organism was taken inside another single cell organism, a process known as symbiogenesis. In this case, cyanobacteria was taken up and the eukaryotic organisms known today as algae were formed. The incorporated cyanobacteria became known as chloroplasts. 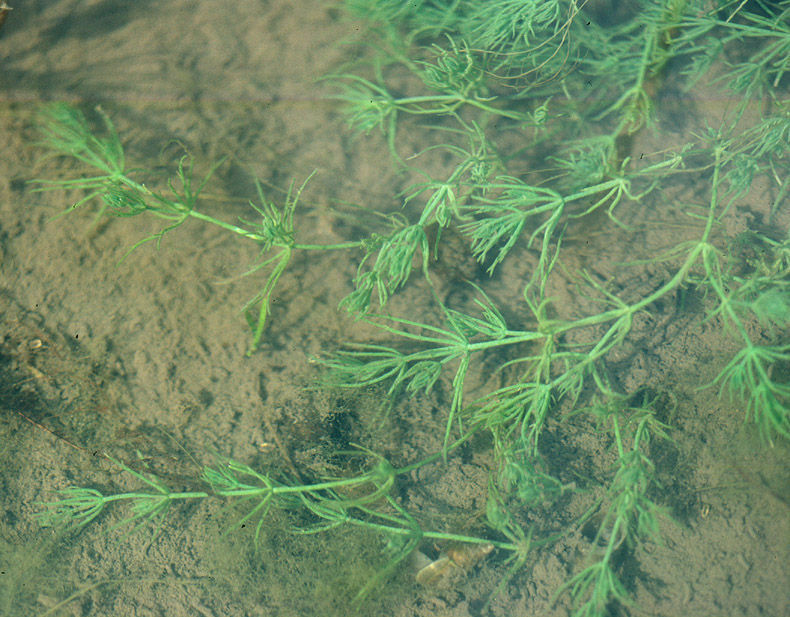 Not all algae species went on to evolve into plants. A group known as green algae appears to be the most closely related to plants, and a certain subset of green algae colonized the land and evolved into modern day plants (also known as land plants). That is why some taxonomists choose to include green algae in the plant kingdom, excluding all other types of algae. The term land plants refers to liverworts, hornworts, mosses, ferns, fern allies, gymnosperms, and flowering plants – or in other words, all vascular and non-vascular plants. Another all encompassing term for this large group of organisms is embryophytes (embryo-producing plants). Still confused about what a plant is? Three main features can be attributed to all plants: 1. They are multicellular organisms. 2. Their cell structure includes a cell wall composed of cellulose 3. They are capable of photosynthesis. Many species of green algae are unicellular, which is an argument for leaving them out of kingdom Plantae. Certain parasitic plants like toothwort, dodder, and beech drops have lost all or most of their chlorophyll and no longer photosynthesize, but they are still plants. Obviously this is going to be a multi-part series, so I will have much more to tell you about plants in part two, etc. For now, this You Tube video offers a decent summary. It is a presidential election year in the United States of America and, as per usual, it’s a circus. Prolific coverage of the surrounding events is hard to avoid. President Barack Obama is in the final year of his second term, which means that 8 years ago he was in the same position as today’s presidential hopefuls. Ultimately Obama was elected President, but during that lively process something else was afoot. Caloplaca obamae is a rare find. 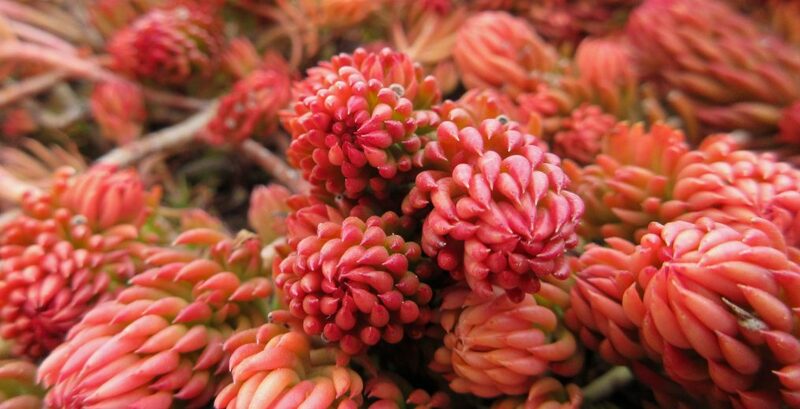 It is endemic to Santa Rosa Island, a member of the Channel Islands off the coast of Southern California near Santa Barbara. Cattle ranching and the introduction of elk and deer nearly removed it from existence. Now that cattle ranching has ceased and elk and deer are being removed, the lichen has a chance of survival. Lichens are unique organisms. They are the result of a symbiosis between fungi and algae and/or cyanobatcteria. In this symbiosis, a mycobiont (the fungus) is essentially farming a photobiont (the algae/cyanobacteria) in order to feed off the sugars produced when the photobiont photosynthesizes. Photobionts in turn receive protection as well as water and other nutrients collected by the mycobiont. There are at least 17,000 species of lichens known to science. They occur throughout the world in all manner of habitats from low to high elevation, and they adhere to virtually any stable surface including glass, plastic, and rubber. Lichens are ancient organisms, having existed for as long as 300 million years, with early lichens – or protolichens – dating back at least 400 million years. They are also very slow growing and can be incredibly long-lived. Lichens are named after the fungal component, which can cause confusion since a particular species of fungus may form lichens with more than one species of algae or cyanobacteria. One way lichens are classified is according to their growth form, which is determined by their thallus – their non-reproductive, vegetative tissues. Three common thallus forms are fruticose (shrub-like), foliose (leaf-like), and crustose (crust-like). While unassuming and benign in appearance, lichens have great ecological importance. They are involved in soil formation, the water cycle, and nitrogen fixation. They are homes to insects and microorganisms and are used as food by some animals and nesting materials by others. Some species of lichens are even consumed by humans. Lichens have also been used to develop medicines and dyes. Lichens are sensitive to air pollution, and are used to help determine the environmental health of urban areas. If your neighborhood has a healthy lichen population, chances are your air is pretty clean. 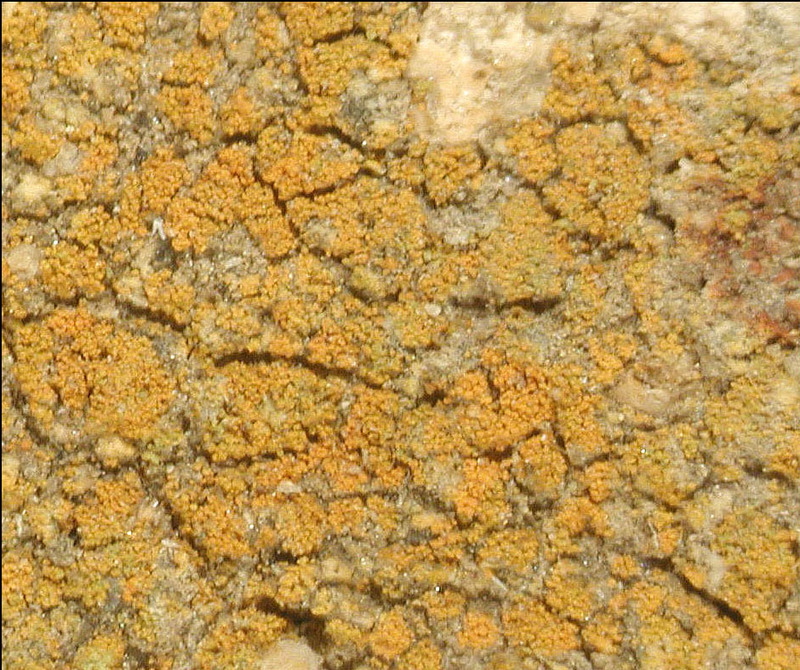 Caloplaca obamae is an orange, crustose lichen. It is terricolous, which means that it grows on soil. 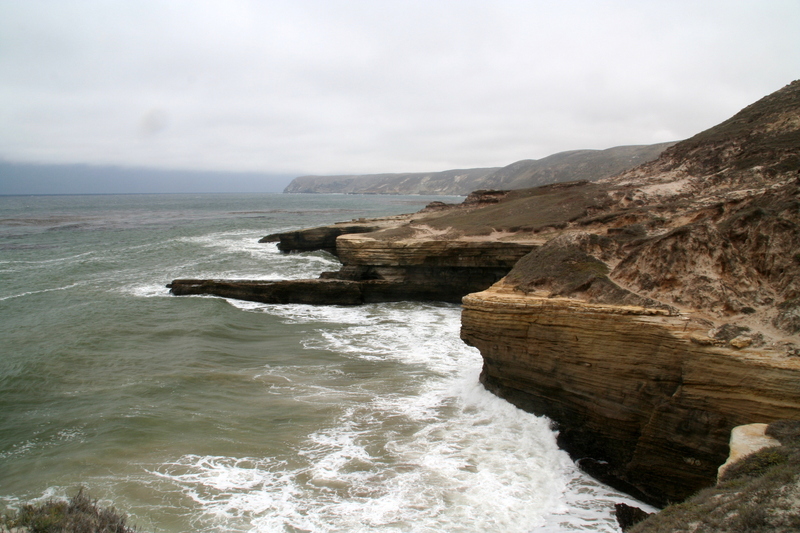 It is part of a community of soil dwelling lichens and bryophytes that form a biological soil crust on the Pleistocene soils of Santa Rosa Island. This sensitive community is easily disturbed by activities like grazing, which is why removing cattle, deer, and elk (all of which were introduced by humans to the island) is important for its survival. Lichens are great, and they deserve much more attention than they get. A lichen named after President Obama is also pretty cool. However, as I researched this story the thing that impressed me the most was Kerry Knudsen himself. Knudsen is a retired construction worker with no academic degrees. He started studying lichens on his own after a medical condition forced him into early retirement. His initial interest grew into an obsession, and he is now among the few lichen experts in the world. He has added thousands of lichens to The Lichen Herbarium at UCR and has helped describe and name dozens of new species. He currently studies and collects lichens in California and the Czech Republic. You can read more about Knudsen in this 2004 article in the Los Angeles Times. The March 2015 issue of New Phytologist is a Special Issue focusing on the “ecology and evolution of mycorrhizas.” This is the second of two articles from that issue that I am reviewing. Read the first review here. 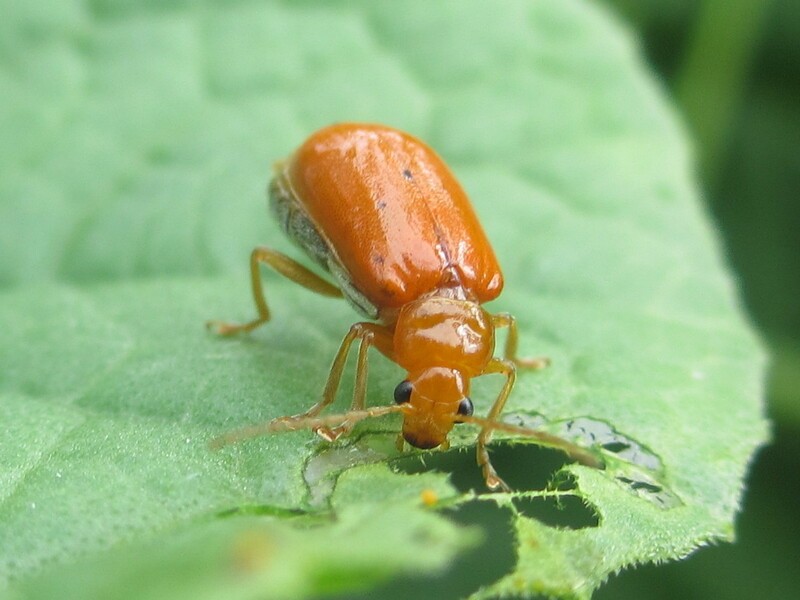 When an individual plant is attacked by an insect or fungal pest, it can warn neighboring plants – prompting them to produce compounds that either repel the pests or attract beneficial organisms that can fight off the pests. There are two main pathways for a plant to send these communications: through the air by way of volatile organic compounds (VOC’s) or through the soil by way of a vast collection of fungal hyphae called mycelium. Plant communication by aerial release of VOC’s has been well documented; communication via mycelium, however, is a fairly recent discovery, and there is much left to learn. 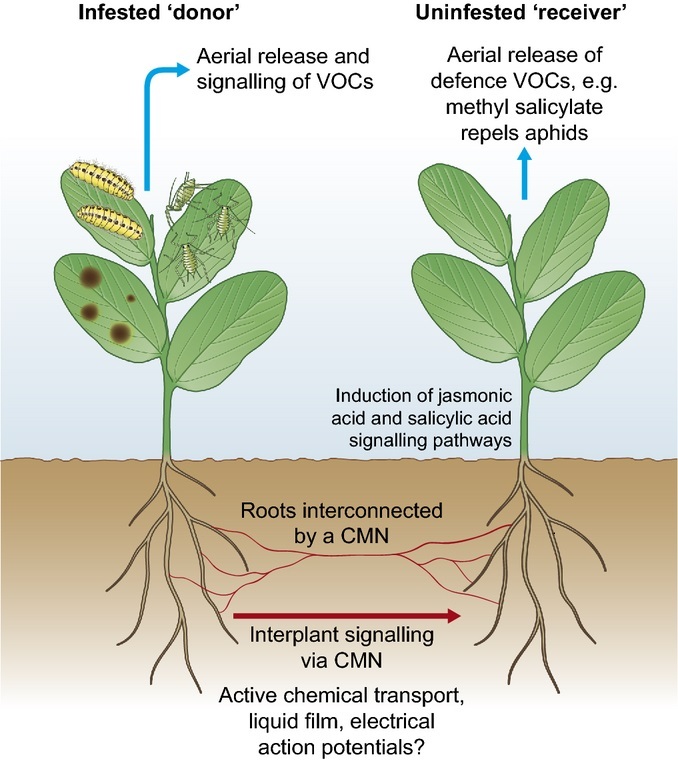 An illustration of plant communication (aka interplant signaling) by air and by soil form the article in New Phytologist. If plants are communicating via CMN’s, how are they doing it? The authors propose three potential mechanisms. The first is by signal molecules being transported “in liquid films on the external surface of hyphae via capillary action or microbes.” They determine that this form of communication would be easily disrupted by soil particles and isn’t likely to occur over long distances. The second mechanism is by molecules being transported within hyphae, passing from cell to cell until they reach their destination. The third mechanism involves an electrical signal induced by wounding. If signal molecules are involved in the process, what molecules are they? There are some molecules already known to be transported by fungal hyphae (lipids, phosphate transporters, and amino acids) and there are also compounds known to be involved in signaling between plants and mycorrhizal fungi. Exploring these further would be a good place to start. We also need to determine if specific insect and fungal pests or certain types of plant damage result in unique signaling compounds. It has been established that electrical signals can be produced in response to plant damage. These signals are a result of a process known as membrane depolarization. “A key advantage of electrical-induced defense over mobile chemical is the speed of delivery.” Movement of a molecule through cells occurs significantly slower than an electrical charge, which is important if the distance to transport the message is relatively far and the plant needs to respond quickly to an invasion. Various aspects of fungal physiology and activity have been shown to be driven in part by membrane depolarization, so involving it in interplant signaling isn’t too far-fetched. How and why does a system of interplant communication involving mycorrhizal fungi evolve? And what are the costs and benefits to the plants and fungi involved? Determining costs and benefits will depend largely on further establishing the signaling mechanisms. Exploring real world systems will also help us answer these questions. For example, in a stable environment such as a managed grassland where CMNs are well developed, a significant loss of plants to a pest or disease could be devastating for the mycorrhizal community, so “transferring warning signals” would be highly beneficial. Conversely, in an unstable environment where a CMN is less established, assisting in interplant signaling may be less of an imperative. Regarding questions concerning the degree of specialization involved in herbivore-plant-fungal interactions: if a “generic herbivore signal” is sent to a neighboring plant that is not typically affected by the attacking herbivore, the cost to the plant in putting up its defenses and to the fungus in transporting the message is high and unnecessary. So, in an environment where there are many different plant species, species-specific signals may be selected for over time; in areas where there are few plant species, a generic signal would suffice. As research continues, the mysteries of “defense-related” interplant communication via CMN’s will be revealed. Field studies are particularly important because they can paint a more accurate picture compared to “highly simplified laboratory conditions.” One exciting thing about this type of communication is that it may mean that some plants are communicating with each other across great distances, since “some species of fungi can be vast.” CMNs can also target specific plants, and compared to communication via aerial VOC’s, the signal will not be diluted by the wind. The trees in a forest are often interconnected by subterranean networks of mycorrhizae, fungal strands that inhabit tree roots. The mycorrhizal symbiosis enables the fungi to forage for mineral nutrients in the soil and deliver them to the tree in exchange for carbohydrates. The mycorrhizae may form fungal bridges between individual trees, so that all the trees in a forest are connected. These fungal networks appear to redistribute the wealth of carbohydrates from tree to tree. A kind of Robin Hood, they take from the rich and give to the poor so that all the trees arrive at the same carbon surplus at the same time. They weave a web of reciprocity, of giving and taking. In this way, the trees all act as one because the fungi have connected them. Through unity, survival. All flourishing is mutual. However, there are still “critical gaps” in our understanding of mycorrhizas, hence the special issue of New Phytologist. In this issue they endeavor to address the following questions: “How is the balance of mutualism maintained between plants and fungi? What is the role of mycorrhizal fungi in the soil ecosystem? What controls fungal community composition, and how is diversity maintained?” There is so much more to learn, but the research presented in this issue has us moving in the right direction. If you are interested in this sort of thing, I encourage you to check out the entire issue. I have picked out just 2 of the 32 articles to present here – one this week and the other next week. Possible traits to be considered were grouped into two categories: formation-related traits and stabilization-related traits. Formation refers to “the initial binding together of particles” to form an aggregate. Stabilization is a process in which aggregates are “increasingly resistant to the application of disintegrating forces, such as water penetrating into pores.” These two processes (along with disintegration) are occurring simultaneously in virtually all soils, but they “may be executed by different organisms expressing different traits.” Some of the formation traits include length, extension ability, and relative growth of roots and hyphae; root and hyphae exudate quality and quantity; and the “ability of roots or hyphae to bring soil particles together by moving them, leading to potential aggregation.” Stabilization traits include tensile strength, density, and “entangling ability” of roots and hyphae; water repellency of the aggregates and cementation capability of the exudates; and the life span, palatability, and repair capacity of roots and hyphae. The amount of time and effort it will take to measure the traits of each and every plant and mycorrhizal fungi species and to determine the extent to which those traits contribute to soil aggregation will be considerable. The authors acknowledge that “some of these traits will be relatively easy to measure,” while “others will be quite challenging.” However, as technologies advance, the mysterious world under our feet should become easier to explore. 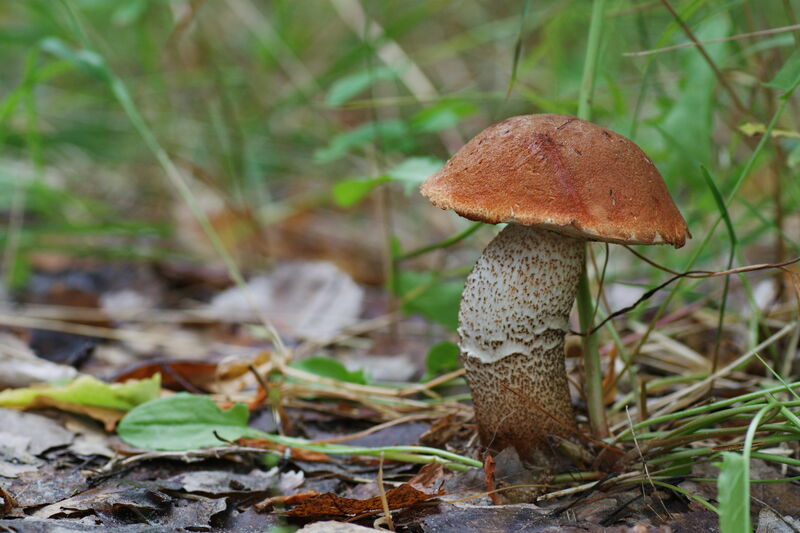 As the traits of each species of plant and fungi are measured, a database can be constructed and eventually used to determine the plant/fungi combinations that are the best fits for restoring and conserving the soils of specific regions. Ultimately, this research may help us answer various questions, including whether or not we can use a survey of plant and mycorrhizal fungi (along with soil type, climate, and management) to predict soil aggregation. Ecosytem restoration efforts may also benefit if we are able to produce “tailor-made mycorrhizal fungi inocula and seed mixes” in order to “enhance soil aggregation.” Better understanding of these traits could also be applied to sustainable agriculture in areas such as crop breeding and cover crop selection. This research is in the hypothesis phase right now, and “only controlled experiments employing a range of plant and fungal species” can reveal the role that certain plant root and mycorrhizal fungal traits play in soil aggregation as well as the full range of applications that this information might have. Speaking of soil, did you know that the 68th United Nations General Assembly declared 2015 the International Year of Soils? The purpose of this declaration is to “increase awareness and understanding of the importance of soil for food security and essential ecosystem functions.” You can read a list of “specific objectives” on their About page. Earlier this month, the 33rd annual Telluride Mushroom Festival took place in Telluride, Colorado. This is an event that draws in hundreds (thousands, perhaps?) of fungi enthusiasts. As a budding fungi enthusiast myself, I get excited when I hear tale of gatherings such as these, and while I did not make it out this year, the Telluride Mushroom Festival is high on my list of things to attend sometime in the years to come. My fascination with fungi started shortly before I headed to graduate school in Illinois in 2009. I had just read about mycoremediation in a book called Toolbox for Sustainable City Living, and that, along with what I had learned about soil fungi in my college soils courses, had me very curious about the world of mycology. I have yet to spend the kind of time that I would like to on this subject, but it remains of great interest to me. A couple years ago I was writing weekly recommendations on my previous blog, the juniper bends as if it were listening. 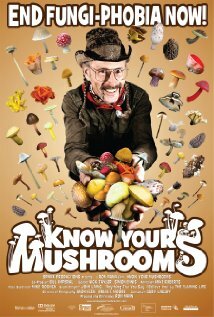 One of my weekly recommendation posts was about a documentary film called, Know Your Mushrooms. I am reposting that review here in honor of this month’s mushroom festival in Telluride, and because I think it’s a film worth watching. No, it is not about plants per se, but it is about a kingdom of living things that regularly interacts with plants. Not only that, but it’s about a major player in the ecology of practically every ecosystem on earth. Bottom line: if you are at all interested in the natural world, you will be interested in this film. Back in the mid 1900’s, after the tragic days of the Dust Bowl in North America, new agricultural techniques and technologies were developed and distributed in the name of food security. These developments included higher yielding plant varieties, synthetic fertilizers and pesticides, and advancements in irrigation and other management practices. This period in time was termed the Green Revolution, and it truly was a remarkable time. Agricultural advancements that came out of this period have helped us feed the world and stave of starvation for millions of people. Today, issues of hunger and starvation are political problems, not necessarily agricultural ones. However, the human population continues to grow, and today’s 7 billion people is projected to reach up to 10 billion (or more) in the coming decades. The world’s best farmland is either already in use, degraded, or being used for other things. This means that we must find a way to feed a growing population with the diminishing farmland that is available. We may be producing enough food now (despite the distribution problem), but will we be able to produce enough in the future? The hunt for the Green Revolution 2.0 is on. These are the words of Cynthia Graber, author of an article that appeared last month on PBS Online’s NOVANext entitled, “The Next Green Revolution May Rely on Microbes.” In it she explores the argument that increasing future yields will depend on better understanding the soil’s microbial community and its complex interaction with the plant community. The big question: if microbes can be artificially bred – the same way virtually all agricultural plants have been – might they help us increase food production? 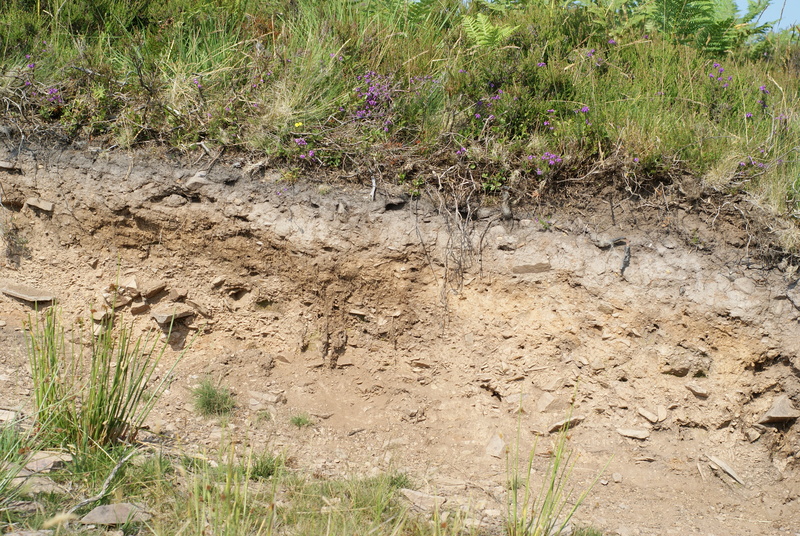 Microbial life in the soil is incredibly diverse. In one teaspoon of soil, there can be millions of individual microbes including bacteria, fungi, protozoa, algae, and nematodes. Our current understanding of soil life is extremely limited, akin to our understanding of outer space and the depths of the oceans. That is because, as stated in Graber’s article, “perhaps 1% of all soil microbes can be grown in a petri dish, the conventional model for such research.” This limits our ability to study soil microbes and their interactions with other living things. We do, however, acknowledge that the interactions between the roots of plants and soil microbes is incredibly important. One major player in these interactions is a group of fungi called mycorrhizae. “Mycorrhizal fungi cannot survive without plants, and most plants cannot thrive without mycorrhizal fungi.” It is a symbiotic relationship, in which the fungi offer plants greater access to water and nutrients, and plants feed sugars derived from photosynthesis to fungi. Recent advancements in genetics have allowed researchers to better analyze the genes in microbes like mychorrizal fungi and determine the functions of them. Through selective breeding, microbes can be produced that will offer even greater benefits to plants, thereby increasing yields. For example, some microbes help plants tolerate heat and drought. Isolating the genes that give microbes these abilities, and then breeding these genes into other microbes might allow for a wider palette of plants to receive this kind of assistance. In researching this article, Graber followed a Swiss researcher to Colombia where he was testing lines of mychorrhizal fungi on cassava. 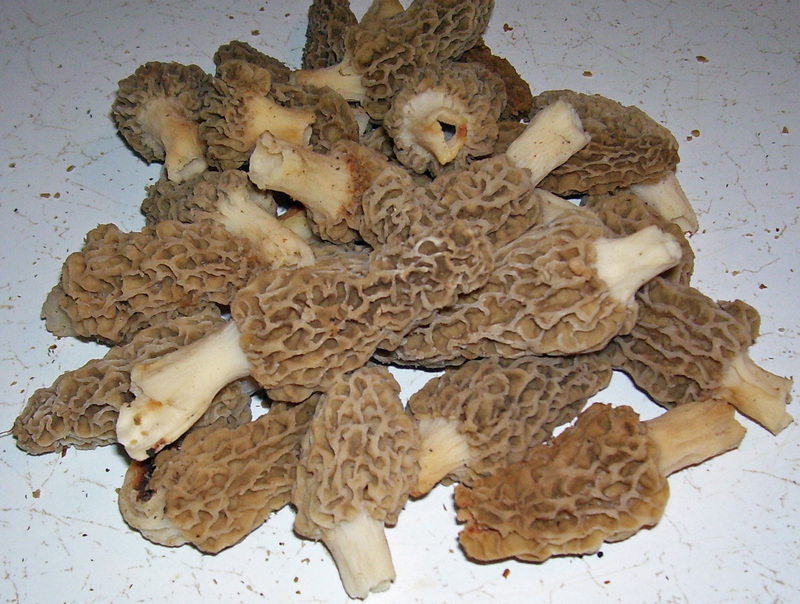 The fungi were specifically selected to increase a plant’s access to phosphorous. This is one of many experiments that are now under way or in the works looking at specially bred microbes in agricultural production. It’s an exciting new movement, and rather than spoil too much more of Graber’s article, I implore you to read it for yourself. Share any comments you may have in the comment section below, and expect more posts about plant and microbe interactions in the future. Cynthia Graber appeared at the beginning of a recent episode of Inquiring Minds podcast to talk about her article. I recommend listening to that as well.